Jordan was responding to a report by NBC News in which three former Ohio State wrestlers said it was common knowledge that a doctor abused team members. Rep. Jim Jordan, accused of neglecting college wrestlers' decades-old allegations of sexual abuse by their Ohio State University team doctor, denied the claims against him. 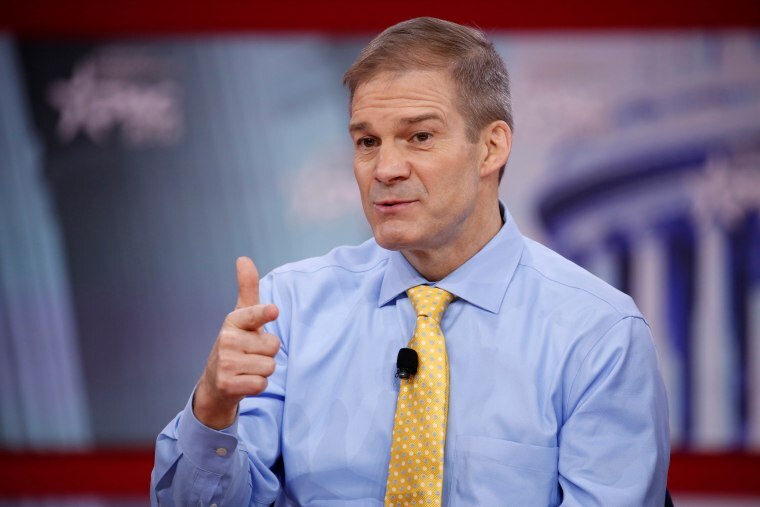 Jordan, a Republican leader of the House's conservative Freedom Caucus and a potential candidate to succeed retiring House Speaker Paul Ryan, was an assistant Ohio State wrestling coach from 1986 to 1994. He has repeatedly said he knew nothing of the abuse until the former students went public this year. Ryan has said through a spokesman that the allegations were serious, and that he was waiting for the result of the university's investigation. "There's no truth to the fact that I knew of any abuse," he told CNN. "I've talked to other coaches. They didn't know of any abuse. That's just not accurate to say those things that we knew of it and didn't report it. It’s just not true." Jordan also questioned the timing of the accusations "in light of things that are going on in Washington." Also on Wednesday, Jordan's spokesman released quotes from two key college wrestling figures: former world champion Lee Kemp and former head coach Russ Hellickson, who served as Jordan's mentor at Ohio State. Kemp was quoted as saying it was "utterly absurd" that Jordan would have known and done nothing about abuse of his wrestlers. Jordan's spokesman quoted Hellickson as saying: "At no time while Jim Jordan was a coach with me at Ohio State did either of us ignore abuse of our wrestlers. That is not the kind of man Jim is, and it is not the kind of coach that I was." Hellickson, however, also took part in a video made by one of Strauss' accusers, former wrestler Mike DiSabato. In the video, Hellickson said he told school administrators about Strauss and also warned the doctor that he was being too "hands on" with students and that he should stay away from his wrestlers. "I said, ‘You make the guys nervous when you shower with them,’” Hellickson said in the video. "His response was, ‘Coach, you shower with your guys all the time.’ And I said, ‘Not for an hour, Doc.’"
A spokesman for Jordan told NBC News that the congressman had not been contacted by investigators but would help them if they asked. But a law firm investigating the allegations for Ohio State said they'd tried contacting Jordan's office by email and phone, but he had not responded. Jordan told Politico and CNN that his office couldn't find records of those inquiries, and reiterated his offer to help investigators.